The Methow Investment Network connects investors who want to see their money work in a community they love with local business owners who need capital to start up or grow. Our members are residents and visitors who understand that keeping their funds local facilitates economic self-sufficiency and job growth in the Methow Valley. Not a bank or loan fund, members do not make collective investment decisions. Instead, the network is facilitated by TwispWorks and members work directly with businesses on investment opportunities. Business opportunities are distributed to members as they are received, and members come together for business profile and networking events 3-4 times per year. For questions about membership, business opportunities or general inquiries, please contact Don Linnertz, TwispWorks Executive Director. We have a simple application process for all new investing members. Please complete and submit our New Member Application by mail or in person. All new members will also need to sign our Membership Agreement. Download the Investor Training presentation and watch for investor training updates here. Are you an entrepreneur looking for investors? If you’re a Methow Valley entrepreneur looking for investment, Methow Investment Network members may be interested in learning more about your business and any business opportunities you have. If you are interested in submitting a Methow Valley business opportunity for consideration, please contact the Methow Investment Network for an initial meeting. The meeting will take approximately an hour and will cover the details of what is needed to apply to the network. Please come prepared to review details of your business history, plan and financial information. After the initial meeting, you will receive a Business Opportunity Submission Form for completion. The form will be circulated to members and will be the key document portraying your business and its readiness for investment. Once your form is received, interested members may contact you to understand the opportunity in more detail and how they might support your efforts. If enough members are interested, you may be invited to present to the Network. View/download the Pitch Training presentation and a one-page example of a business plan. 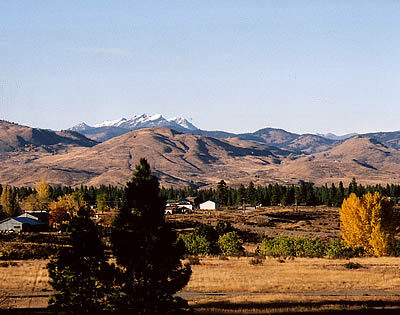 Forming the Methow Investment Network was made possible with the generous support of the Association of Washington Cities and technical expertise from Washington State University.